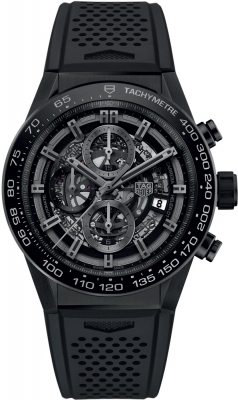 Buy this new Tag Heuer Carrera Caliber Heuer 01 Skeleton 45mm car2a90.ft6071 mens watch for the discount price of £4,335.00. UK Retailer. Polished black ceramic case and bezel.